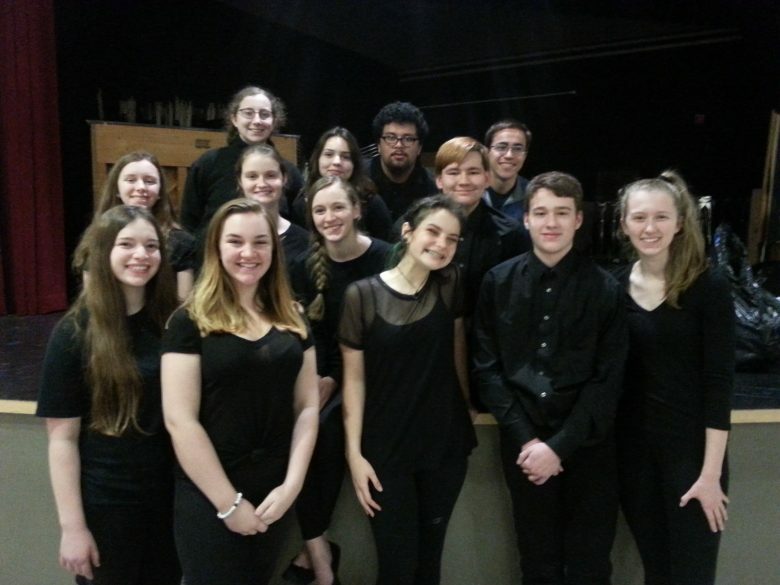 NHS Students competed at the Regional International Thespian Society Competition this past weekend. NHS brought 13 students who entered three different category competitions. Students were required to wear “Performance Black.” Receiving a Superior score, qualifying them to audition at Nationals are: Natalie Hanna and Katie Hartsell for their duet scene and Morgan Hanna for her monologue. All students performed well and received great feedback on their performances. The NHS Thespian Society is coached by Jody Hanna.